When football season rolls around, give your team the best in field equipment essentials with the Champion Sports Flex Down™ Bull's Eye Chain Set. This set features a 10 yard galvanized steel chain between two padded 2-piece aircraft aluminum poles. 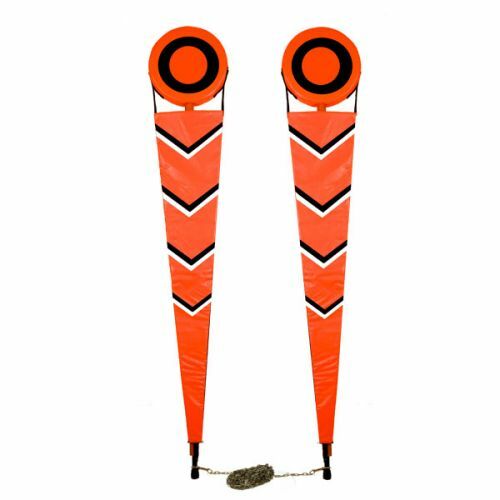 The chain set is designed with a 16"x13" padded bull's eye, and rubber molded ground stops with a rubber crutch tip.